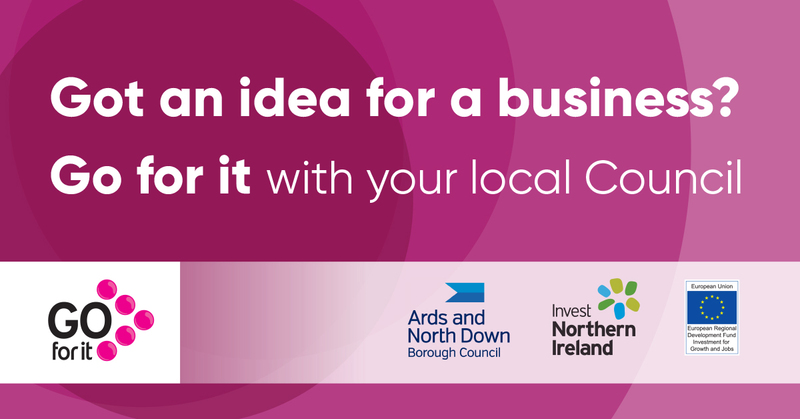 The Go For It programme is delivered free of charge by your Local Council through Northern Ireland’s wide network of Enterprise Agencies highly experienced business mentors. 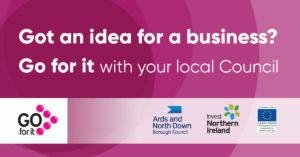 Go For It is part funded by Invest Northern Ireland and the European Regional Development Fund under the Investment for Growth & Jobs Northern Ireland (2014 – 2020) Programme. Go For It provides individuals who wish to start a business with advice and capability to produce their own business plan and register for self-employment.